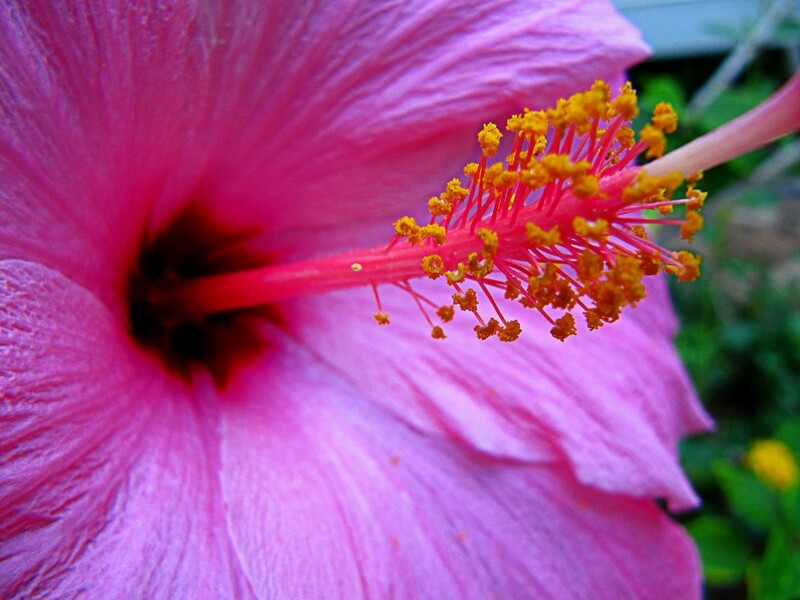 A close-up shot of a pink and purple hibiscus shows off its large, soft petals and gets us so close to its anthers–those yellow pieces–that we wonder if just looking will get pollen on us. Coming in many varieties, hibiscus this color are a bit less common. It is a jewel in the treasury of flowers found throughout Hawaii. Hibiscus growers continue to cultivate new varieties each year, focusing on different attributes such as color, hardiness, petal shape, and more. The state flower of Hawaii is not any hibiscus, rather it is the yellow hibiscus endemic to these islands.